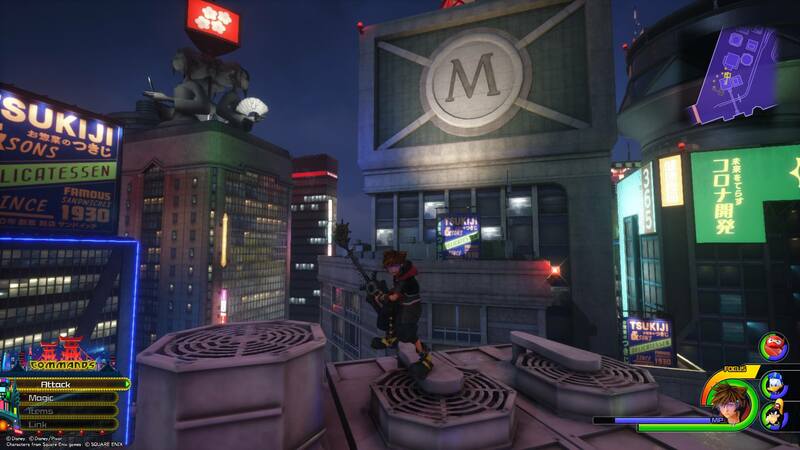 In Kingdom Hearts 3, players will need to find and photograph Lucky Emblems in worlds like San Fransokyo in order to unlock the game’s secret video. While most worlds have around a dozen Lucky Emblems to find like the Caribbean and Arendelle, smaller worlds like Twilight Town have fewer. 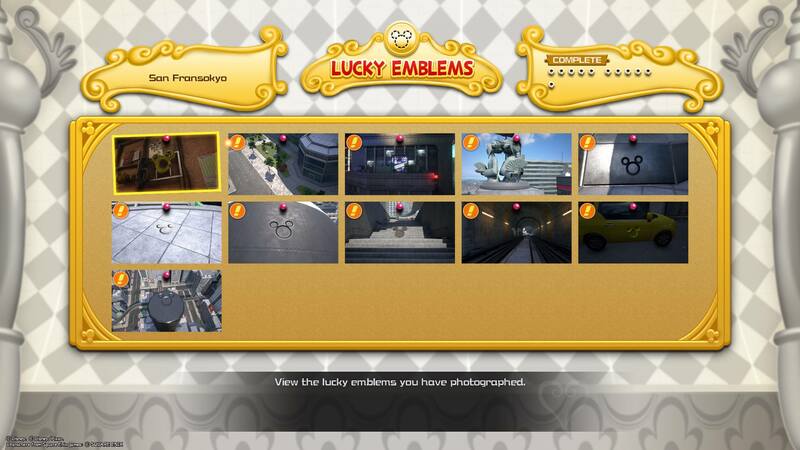 In San Fransokyo, there are 11 Lucky Emblems to find in total. Struggling to find one or more Lucky Emblems in San Fransokyo? We’ve got you covered! Below, we’ve put together a quick guide on where to find all 11 Lucky Emblems in the San Fransokyo world of Kingdom Hearts 3. There are 11 Lucky Emblems to find in the San Fransokyo world of Kingdom Hearts 3. In the San Fransokyo world of Kingdom Hearts 3, there are 11 total Lucky Emblems to find. To photograph them, you’ll need to use the camera feature on your Gummiphone. This can be done by pressing the touchpad on your PS4 controller, or the Change View button on Xbox One. After you’ve done this, you’ll need to align the square box over the Lucky Emblem and snap a photo. Note that you can zoom in and out using the left and right trigger buttons if you’re too close, or too far away. Struggling to find Lucky Emblems in San Fransokyo? Below, we’ve listed where to find all 11 Lucky Emblems in the San Fransokyo world of Kingdom Hearts 3. 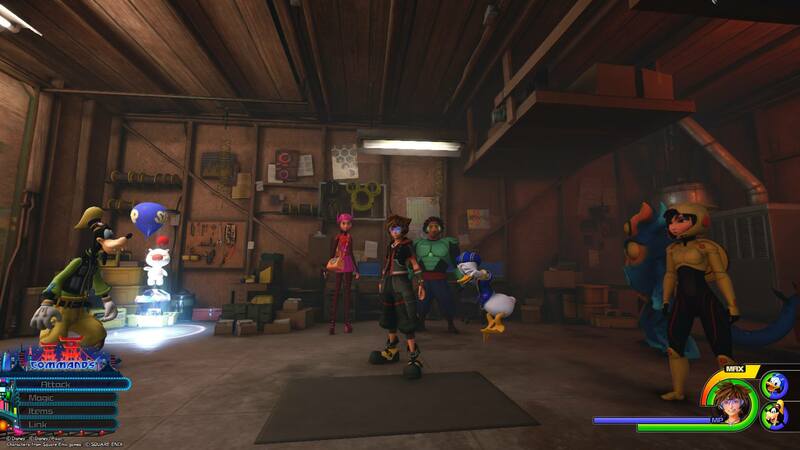 The first Lucky Emblem can be found in Hiro's Garage. The first Lucky Emblem in San Fransokyo is the easiest to find. In Hiro's Garage, look at the yellow electrical cable along the wall. In doing so, you'll notice the shape of a Lucky Emblem. The next Lucky Emblem can be found in the South District of San Fransokyo. To find the next Lucky Emblem, either spawn in at the South District save point, or locate it while exploring the city. Once you reach the South District save point, turn around and climb the building directly behind you. In the distance, you'll see a large statue with a woman holding a fan. 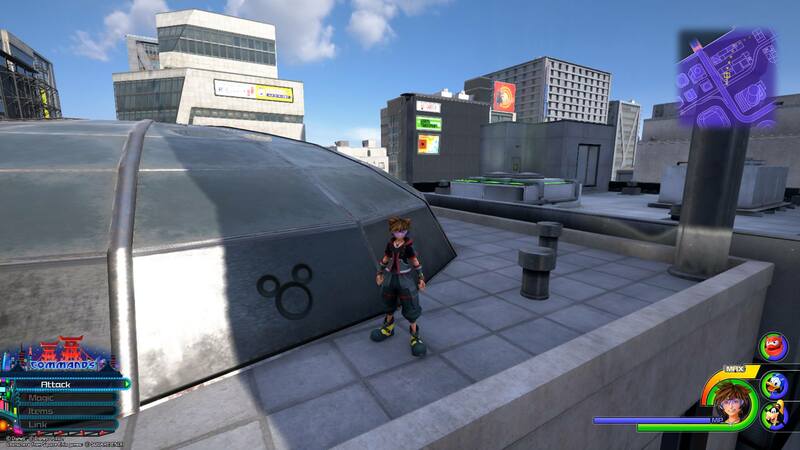 Stand on the building directly opposite the statue, and you'll be able to photograph the second Lucky Emblem. This Lucky Emblem can only be found at night. To collect it, interact with the South District save point and choose to spawn into the South District at night. Then, climb the building across from the one with a large M on it and you should see the Lucky Emblem. With the second Lucky Emblem collected, interact with the South District save point and choose to spawn in at night as the third Lucky Emblem can only be collected at night. When you spawn in, head up the building that faces the "M" building near the delicatessen sign. Across from you, you should see the third Lucky Emblem in San Fransokyo. Return to the South District save point and spawn back in during the day, then head down the street and climb up to the top of the large moving chef statue to find the fourth Lucky Emblem. The rest of the Lucky Emblems in San Fransokyo can be collected during the day, so be sure to go back to the South District save point and choose to spawn in during the day. After that, head down the street to the large moving chef statue and climb up to the top of his hat. Look down at the park below, and you'll see the fourth Lucky Emblem. In the Central District near a building with a red banner with Japanese letters, there's a green vent. Jump up to the level above and look down to find the fifth Lucky Emblem. From the South District, hop from building to building until you're notified that you've reached the Central District. Then, look for a circular building with green vents on top. 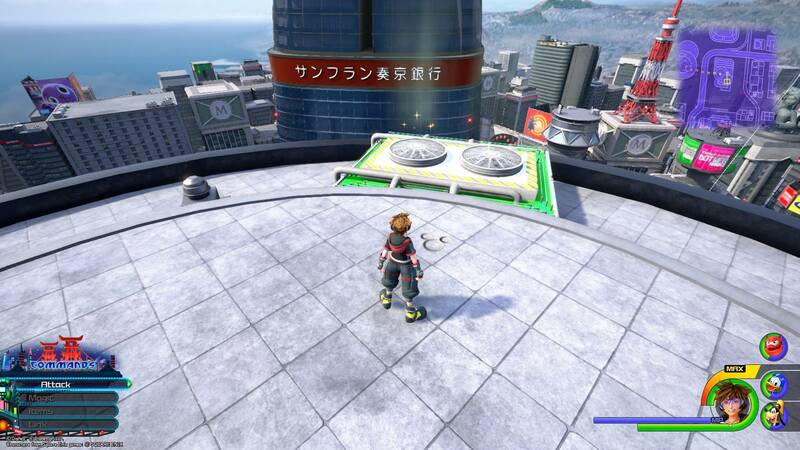 Near one of these green vents, and near a building with a red banner and Japanese letters, you'll be able to find the fifth Lucky Emblem in San Fransokyo. 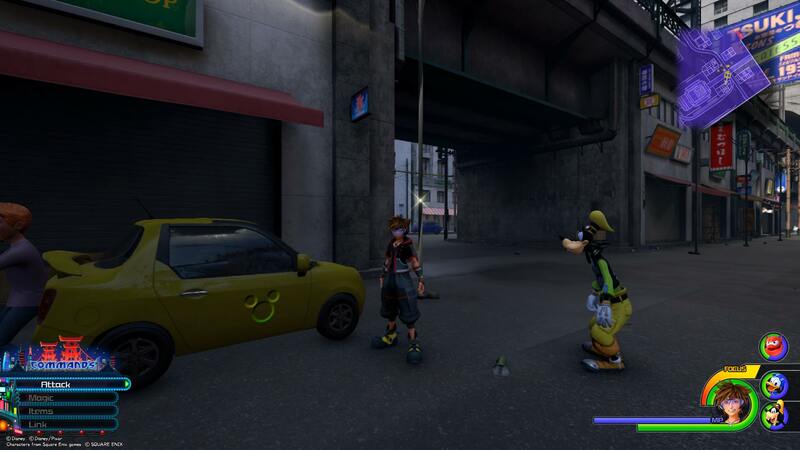 In an alley at the edge of the North District, you'll find a yellow car with the sixth Lucky Emblem. Enter the North District and head all the way to the very back left edge. There, you'll find an alley, and in this alley a yellow car with the sixth Lucky Emblem on the side. Remain in the North District and jump up to the railway that runs over the alley where you found the sixth Lucky Emblem. Inside one of the railway tunnels, you'll find the seventh Lucky Emblem. 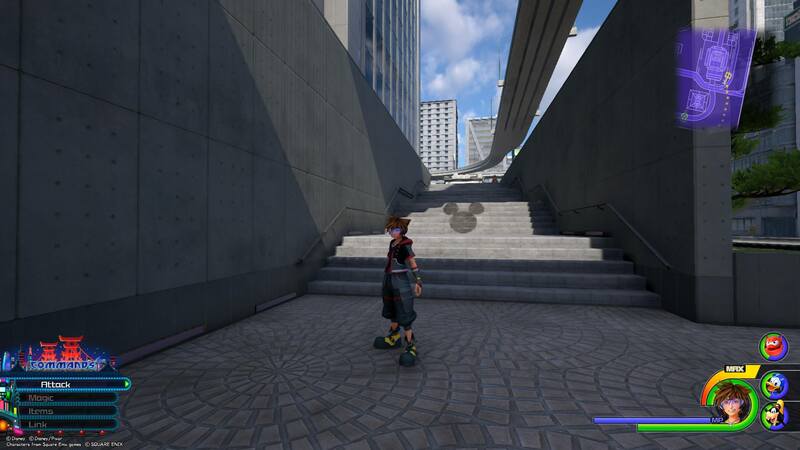 After collecting the sixth Lucky Emblem, head directly up the buildings in the alley until you reach the railway. 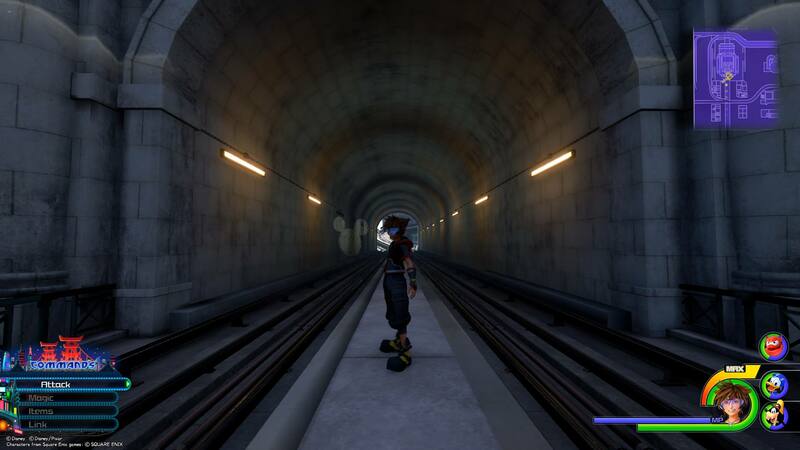 Head left through the railway and when you reach the first tunnel, stop yourself from sliding and stand in the center to capture the seventh Lucky Emblem in San Fransokyo. To the north and left of the railway where you found the seventh Lucky Emblem, look for a set of ascending steps on your left. There, you'll find the eighth Lucky Emblem. Follow the railway a few feet to the north and drop down to the street. Look for a building with ascending steps on your left. On these steps, you'll spot the eighth Lucky Emblem in San Fransokyo. Note that it may be easier to find trekking on foot underneath the railway rather than quickly sliding along the rails. 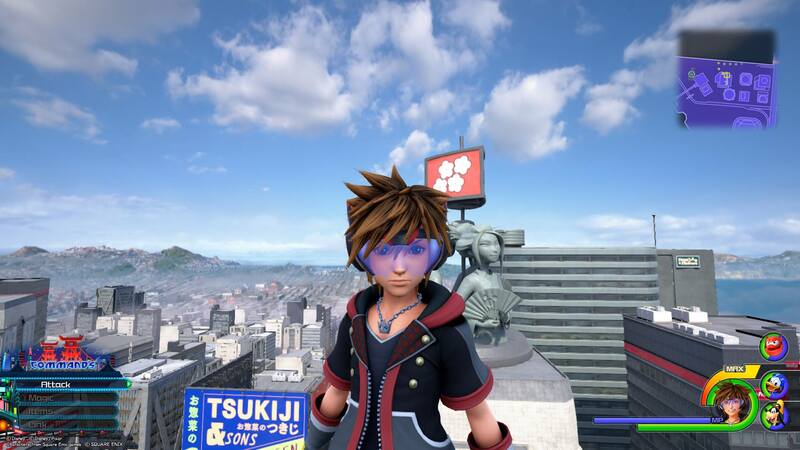 Directly behind where you found the eighth Lucky Emblem, climb up the building, then Airstep to the top of a pole to find the ninth Lucky Emblem. The ninth Lucky Emblem can be found close to where you collected the eighth Lucky Emblem. To find it, head up the wall, then climb all the way up the building until you reach the top. Look above you, then use Airstep to reach the top of a thin pole. There, you'll find the ninth Lucky Emblem. 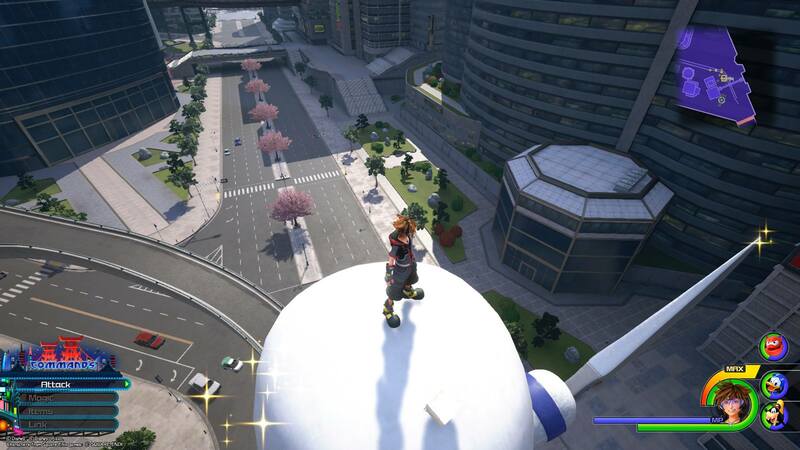 By jumping and gliding from this building, you should be able to get close to the next Lucky Emblem shown below. The tenth Lucky Emblem can be found atop one of the blue floating balloons in San Fransokyo. From the ninth Lucky Emblem, look out at the balloons around you. When you see two blue balloons close to one another, jump off the pole and head in that direction. On the second balloon, look down and you should be able to spot the tenth Lucky Emblem in San Fransokyo. To find the last Lucky Emblem, head down and left from the blue balloon. 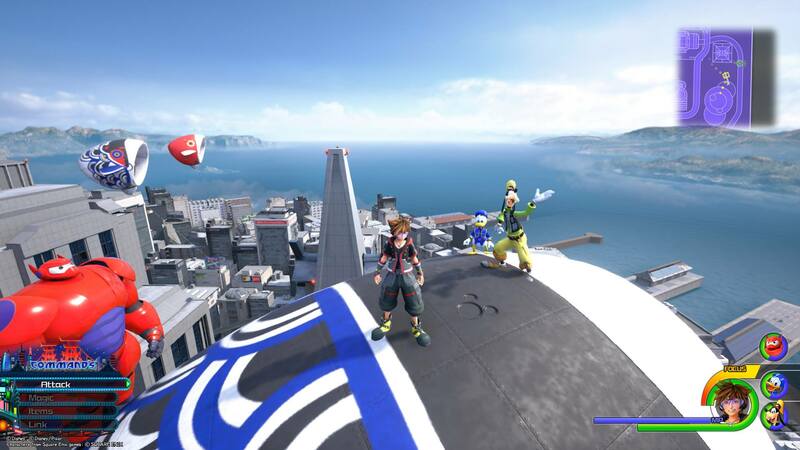 Look for a domed building, and once you land, search around the dome's edge to find the last Lucky Emblem in San Fransokyo. 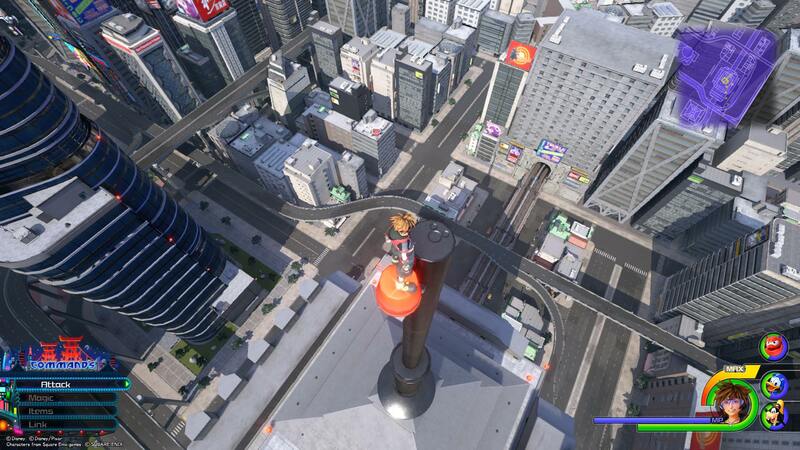 To find the last Lucky Emblem, jump down and left from the blue balloon. Keep an eye out for a small, domed building. When you reach this building, search around the edge of the dome to find the eleventh and final Lucky Emblem in San Fransokyo. By finding and photographing all 11 Lucky Emblems in San Fransokyo, you’ll be that much closer to unlocking the secret video for Kingdom Hearts 3. Plus, the more Lucky Emblems you photograph, the more in-game rewards you’ll earn. So, were you able to find all 11 Lucky Emblems in San Fransokyo? Which Lucky Emblem was the hardest to find? Let us know down in the comments below! For more on Kingdom Hearts 3, be sure to check out our previous Lucky Emblem guides including where to find all 13 Lucky Emblems in the Caribbean world of Kingdom Hearts 3, where to find all 11 Lucky Emblems in the Arendelle world of Kingdom Hearts 3, and where to find all 11 Lucky Emblems in the Monstropolis world of Kingdom Hearts 3.